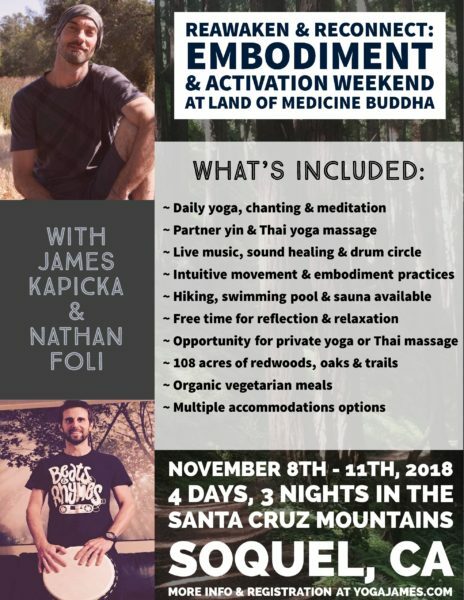 Reawaken your vibrancy and simplify your world with 4 days and 3 nights of rejuvenation at Land of Medicine Buddha in the majestic redwood trees of the Santa Cruz Mountains. Find comfort with multiple accommodation options: bring your own tent, stay in a yurt, bunk with a friend or take solace in a private room. Activate the cleansing energy of fall with daily yoga, pranayama and meditation practices. Enjoy free time by swimming in the pool, sweating in the sauna or strolling along the lush redwood forest and rolling oak meadows. 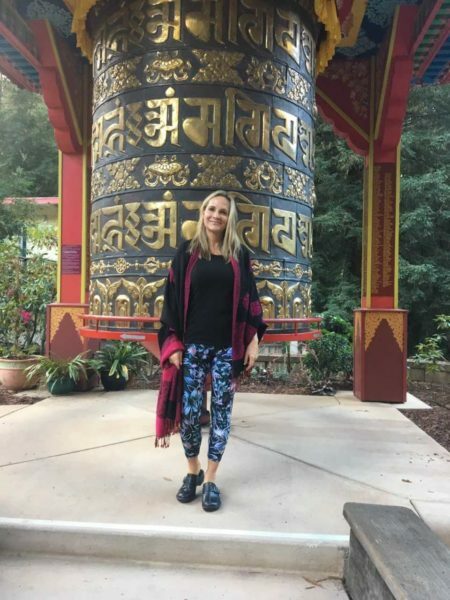 Nourish your body-temple with delicious organic, vegetarian meals, and nurture your soul with time in nature and space for quiet stillness. Revitalize your year through self-care practices, and create space for inspiration and light in your life. Embody intentions for alignment with natural rhythms while honoring the valuable experience of transitioning with the seasons. Nathan Foli!’s passion is encouraging others to express themselves through music, specifically drumming, in order to hone their intuition and creativity. He will be offering sound bath and drumming into abundance.